Pharmacy technicians assist licensed pharmacists with the provision of medication and other pharmaceutical products to patients. They also perform other routine tasks, such as labeling containers, counting tablets, and pouring, weighing, and mixing medications, according to prescription requests. Although they do not counsel patients, technicians must interact with patients over the phone and in person as they compile patient profiles and verify prescriptions. After completing the prerequisite training, certification, and state licensure, pharmacy technicians can go on to practice in hospitals, clinics and community pharmacies. The U.S. Department of Labor is reporting a sizeable jump in employment opportunities for pharmacy technicians and other health-related occupations. The positive trend means excellent job opportunities for all graduates of pharmacy technician programs. All pharmacy technicians and technicians in training must register with the North Dakota Board of Pharmacy before practicing at licensed facilities. To be eligible for registration, pharmacy technicians must complete an American Society of Health System Pharmacists accredited program and obtain certification from the PTCB. Technicians in training must complete the requirements for registration as a pharmacy technician within two years. Technician in training permits are not transferable. Therefore, the technician must submit another application if changing employers. Once the Board issues the permit, technicians must renew annually on March 1st to continue practicing. It is the Board’s responsibility to provide an annual registration card and pocket identification card: Technicians must keep the wall certificate at their place of employment and the wallet card must be on their persons at all times. Pharmacy technicians must also wear a name badge that clearly identifies their position. Pharmacists-in-charge must assign duties in accordance with state regulations. However, it is the pharmacy technician’s responsibility to review and understand the state regulations and work within the guidelines. Technicians, who step outside the boundaries, may face disciplinary actions or revocation of their license to practice. All certified technicians must maintain their certification with the PTCB and complete the state’s continuing education units to qualify for renewal. 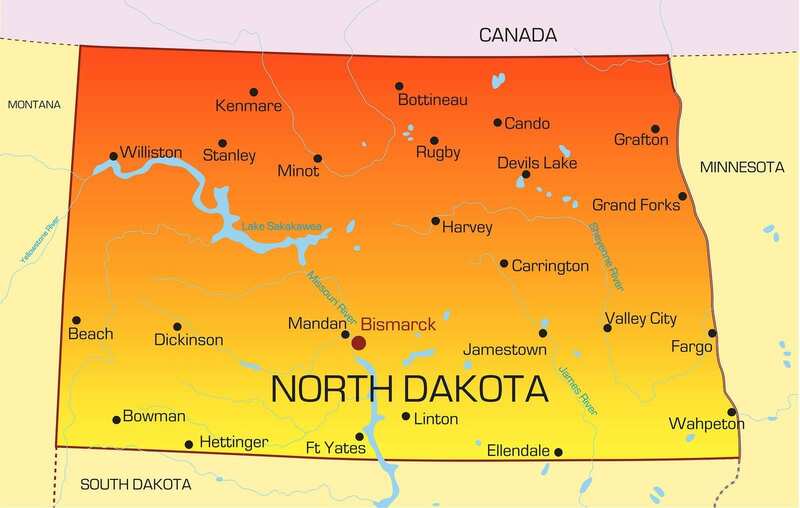 The North Dakota Board of Pharmacy accepts registration for licensure from individuals 18 years and older. A high school diploma or GED equivalent is necessary to register for licensure. Although the Board does not require applicants to submit documentation, it is necessary to have all documents on file in case of a state audit. Pharmacy employers will verify proof of prior education. Similarly, the PTCB will verify candidates’ prior education before granting authorization to take the certifying exam. 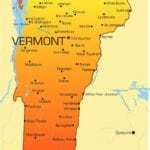 The Board will determine other requirements for registration at their discretion. For instance, a criminal history check is not an automatic part of the registration process. However, the Board may commission a criminal history check and a candidate interview based on the responses to the criminal history/disciplinary action questions on the application. Pharmacy technicians must have a good moral character. An individual with a criminal past is not exempt from registration, but must provide details of the conviction for the Board to make a decision. Technicians must pass the PTCB exam and gain registration with the North Dakota Board of Pharmacy to practice within the state. The state board specifically requires pharmacy technicians to complete an ASHP accredited program as a requirement for certification. Currently, there are two such programs in the state: The North Dakota State College of Science and Turtle Mountain Community College. Both programs prepare students for success on the national certification exam. The comprehensive training may be 350 to 600 contact hours long, comprising of classroom, hands-on-lab, and clinical instruction. The course content includes pharmacy medical terminology, I.V. flow rates, dose conversions, reading and interpreting prescriptions, generic and brand name drugs, anatomy, and physiology. Students will also learn drug compounding, dispensing prescriptions, billing and reimbursement, inventory control, customer service, pharmacy law and ethics. Students may attend part-time or full-time as their schedules and finances allow. Most programs require students to have a high school diploma or GED equivalent and proficiency in English, math and reading. Other requirements include a criminal background check, physical exam, drug screening, TB test, and immunization. The program length and cost vary, so it’s important to check with your college of choice for specific details and to ensure it’s the right fit for your goals. The average cost of tuition at ASHP accredited programs is $147 per credit, which translates to approximately $6174 for tuition plus extra for special fees, administrative fees, books, and other supplies. North Dakota is one of several states where pharmacy technicians must register and obtain PTCB certification. After passing the certification exam, technicians must recertify every two years and earn 20 hours of continuing education. North Dakota’s requirements for pharmacy technician certification give technicians an advantage over the non-certified technicians in other states. They earn higher salaries, obtain pharmacist confidence, and greater responsibilities in the pharmacy. Applicants for PTCB certification must submit a request online and provide proof of age and high school graduation, and receive background clearance. There are no training requirements for certification, but that will change in 2020 when students will need to complete an accredited program to qualify for certification. The cost of registration is $129 and $40 for renewal every two years. The PTCB exam is a multiple-choice exam with 90 questions, which students must complete in two hours. Once the Board approves the applicant’s request, the candidate can take the exam at a Pearson Vue testing center in North Dakota. 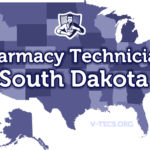 The North Dakota Board of Pharmacy defines a pharmacy technician as an individual registered by the Board, who assists with the technical services of preparing pharmaceuticals for dispensing. The pharmacy technician performs all technical services under the supervision of a licensed pharmacist. A pharmacy technician in training, by the Board’s definition, may also perform technical services under a pharmacist’s direction. The technician in training registration is specific to persons enrolled in an academic training program. Applicants for technician registration must be at least 18 years old with a high school diploma and PTCB certification. Provide legible answers to all the questions on the technician in training application. Sign the document where indicated. Enclose the registration fee of $10 using a check or money order. Include a recent photo for identification – photo should be 2 inches x 3 inches. The application is not complete until you provide your social security number. Provide details on the pharmacy of employment and the name of supervising pharmacist. The Board will provide a Technician-in-Training Card once they approve the application. You must post a copy at your place of employment. The registration is non-transferable. Therefore, you’ll need to submit another application for registration if you change employment. The registration expires in one year, and the Board allows up to two years for completion of the program. The Board may grant an extension at its discretion. After completing the pharmacy technician training and PTCB certification, you must submit an application for registration as a Pharmacy Technician. Provide legible and accurate answers to all the questions on the technician application form. Include a recent 2 inches x 3 inches photo. Enclose the registration fee of $35 using a check or money order. Attach copies of your PTCB certification and pharmacy technician training certificate. List your current pharmacy of employment. Note: The Board will only accept a copy of the official PTCB certificate as proof of completion. Submitting the results of your test is not an accepted form of completion. Pharmacy technicians must graduate from an ASHP accredited program. Graduates of other programs should contact the Board for a review of your credentials. Technician registrations are valid from March 1st to March 1st. Applications for renewal may be submitted online or using the renewal application form available on the Board’s website. Technicians in training licenses are valid for two years only and cannot be renewed after that period. Renew on time; all renewals should be completed before March 1st. The renewal fee is $35. Technicians in training must submit proof of completing an ASHP accredited training program and PTCB certification. Pharmacy technicians must complete at least ten hours of approved pharmacy technician continuing education. Pharmacy technicians must also maintain PTCB certification. Provide verification of prior employment – Letters of reference, detailed job description, and verified work experience. Official transcript of pharmacy technician training – for those who did not complete an ASHP accredited program. Official transcript of any post high school training. Once the Board reviews your credentials, you can submit an application for registration.